How can Education Perfect help students with learning difficulties? Education Perfect has a range of different features that have been designed to aid students with learning difficulties. To help make Education Perfect accessible for students with visual and reading impairments, we have an inbuilt text-to-speech feature which reads text aloud. 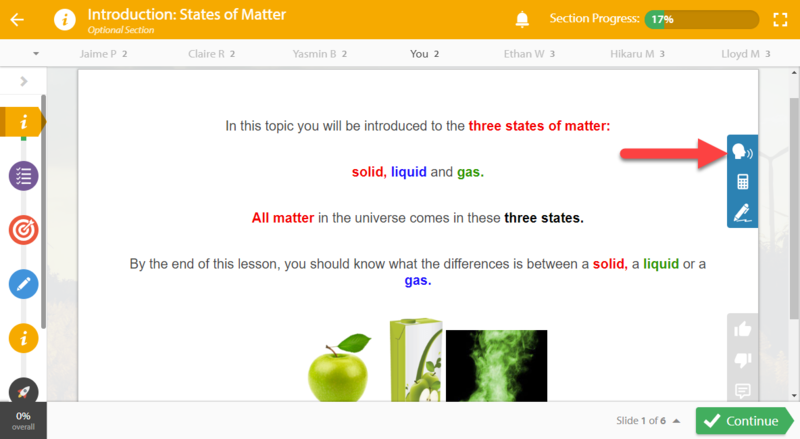 To enable this, students can select the speech icon on the right of the slide that they're viewing. Find out more about text-to-speech here. 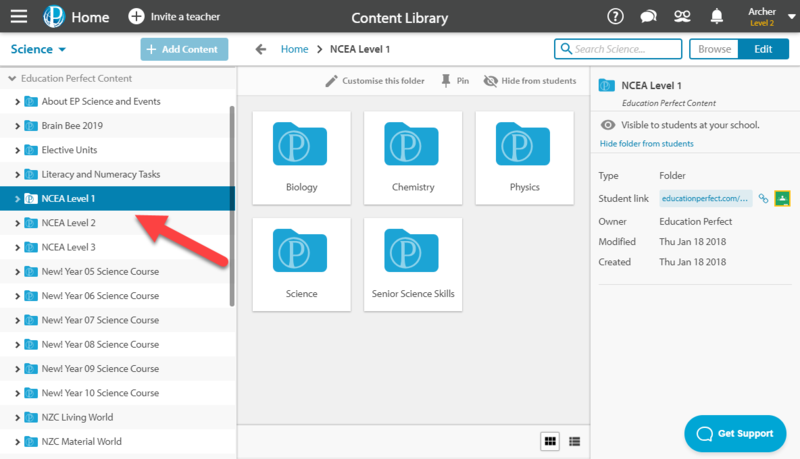 Under the Education Perfect Content section of your Control Panel, you'll find content organised by year level. If students are struggling with work, it may be a good idea to have them work on or revise material from earlier levels. To find appropriate work, navigate to the content library and locate your chosen subject. Under Education Perfect Content, you'll find folders that are organised by year level. For full details about finding and assigning work from the content library see How to find content for the topics we're covering and How to assign work from the content library. After completing certain assessments, you can assign remedial work to your students based on how they performed. This can be particularly helpful as it enables students to identify and improve on their weaknesses. Remedial work can only be assigned after particular assessments. To find out how to assign remedial tasks see How do I assign remedial tasks to students after an assessment. Both students and teachers have the ability to turn off countdown timers in the Student Zone. This can take the pressure off of some students. As a student, navigate to Account Settings from the drop-down menu and Tick Turn off Timers. As a teacher, if you want to disable timers for an entire class, scroll down to Miscellaneous Options when assigning the task and tick Disable question timers to remove the countdown timer from the questions.